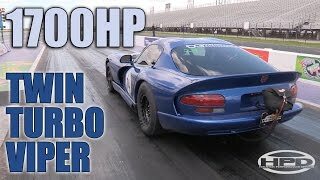 This well produced video introduces us to the car being billed as the quickest Gen 5 Dodge Viper with a manual transmission. It is offered compete with video evidence and a recorded time slip. Check it out. 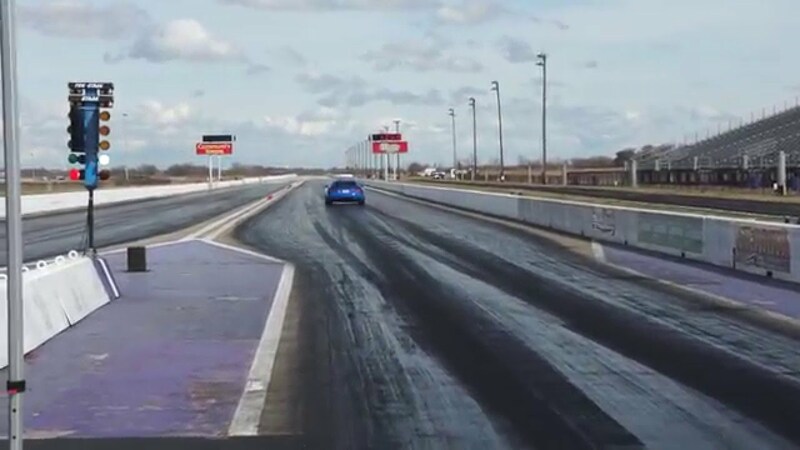 The venue is the Carolina Dragway in Aiken, South Carolina (track temperature ninety-eight-degrees, elevation is 3,000-feet). 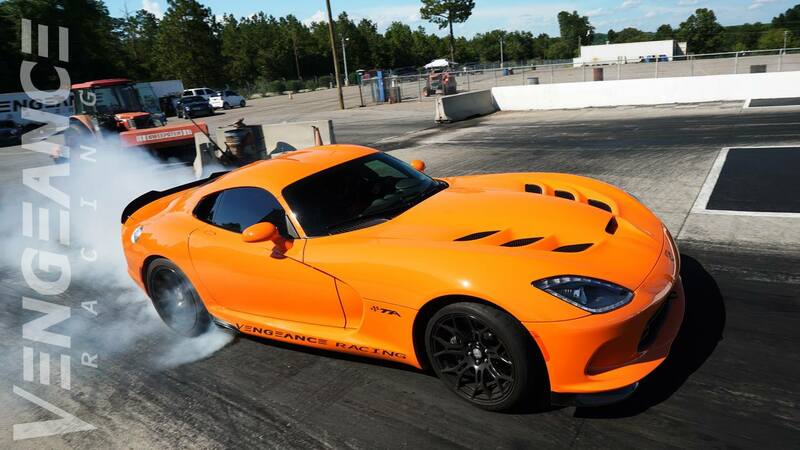 The car is a 2014 Dodge Viper prepared by Vengeance Racing. It is owned and operated by Ned Dunphy who is a skilled racer and is known to be cool under pressure. 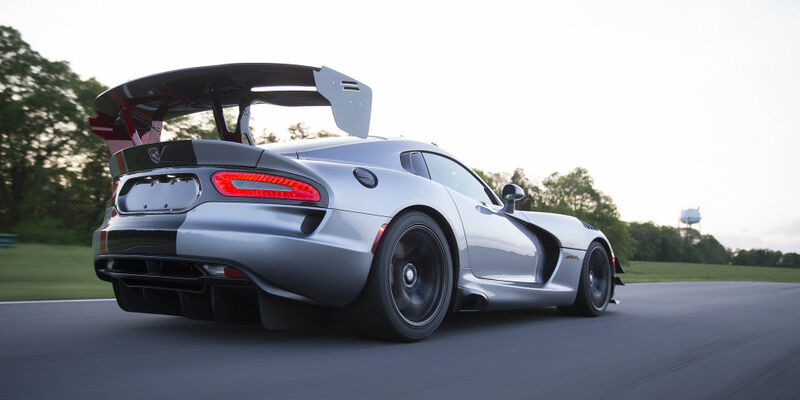 Today, Ned will need nerves of steel as he attempts to break the quarter-mile World Record (9.35-seconds @ 157 mph) for a Gen 5 Viper with a manual transmission. On the business end of this deadly serpent you will find a Late Model Engines (LME) built 513 cubic-inch, twin-turbocharged beast of an engine. Forced air induction is accomplished using a pair of Precision 76-millimeter (28 psi) mills and an air-to-water intercooler setup. Pro EFI (engine management and fuel injection), twin Walbros fuel pumps, and Brisk spark plugs help this massive engine perform at optimum efficiency. It’s running E85 fuel. The manual gearbox is a stock 6-speed Tremec unit. 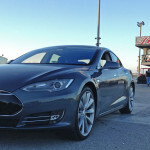 Power is estimated at 1511hp. On a day when Ned would need a good performance behind the wheel, he showed out. 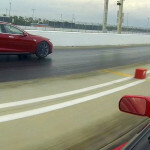 A lackluster reaction time of of 1.619-seconds was covered by a 60-foot time of 1.635-seconds. 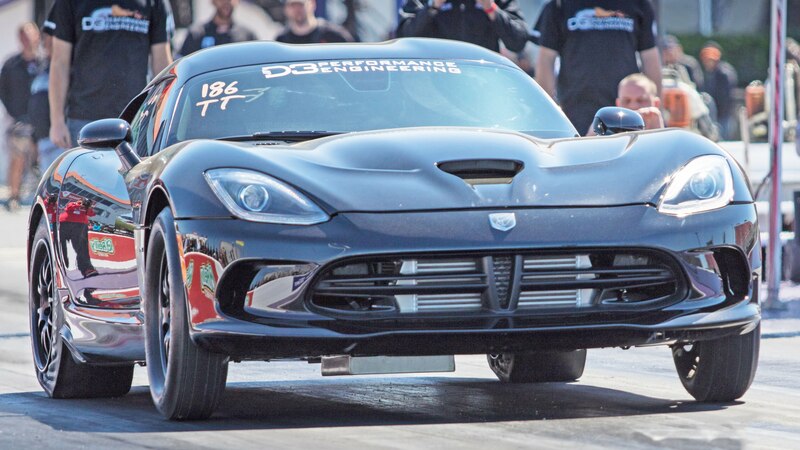 The eighth-mile was eclipsed in 6.1-seconds @ 124 mph but would the quarter-mile World Record fall on this day? You will need to check out the video to find out.